The recycling industry continues to be an enormous economic driver world, in which aluminum would earn a profit of $1,325 per ton, to be split by the municipality and recycling company — all good news for municipalities, recycling companies and our environment. Besides that, you will find a lot of examples of plastic-aluminium composite in our daily life, for example, aluminum composite panel, aluminum composite pipe, aluminium foil packaging, aseptic composite packaging waste (aseptic foil, bottle neck foil and yogurt lids), aluminum plastic board, waste medical blister etc. Therefore, aluminum-plastic separation means a lot for us. The separation system allows a continuous industrial-scale process for separating aluminum and polyethylene/plastic. Aluminum composite panel(ACP) recycling plant adopts advanced metal recovery process, integrating technologies to recover metal (aluminum) and plastic from aluminium foil packaging waste and plastic-aluminum composite materials etc. 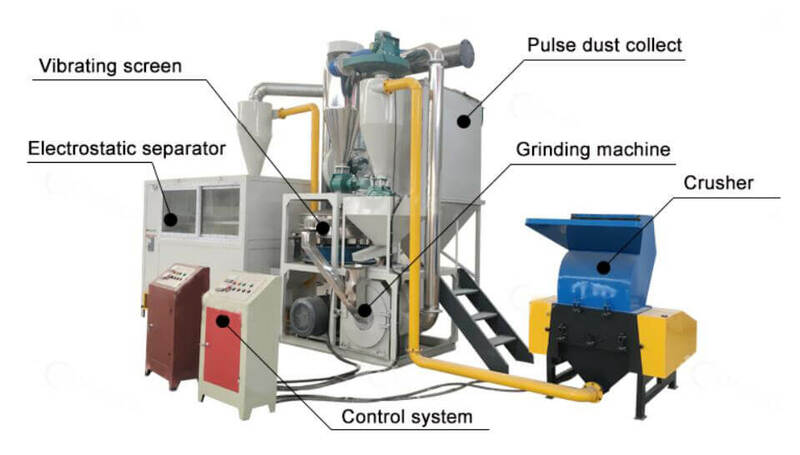 The newly-designed crusher, powder mill and electrostatic separation machine can reach high metal recovery/purity rate. For material recycling, plastic-aluminium composites have to be separated into their components, as only non-mixed raw materials can grant high quality standards. A combined mechanical crushing/milling and subsequent electrostatic separation can be classified as highly economic because it is a dry treatment. The separated plastic and aluminium are obtained in a high degree of purity. Whirlston provides special mechanical separation technology for plastic-aluminium composites physical crushing, milling and separation. We offer you a fully comprehensive “care-free” service package. Size reduction is necessary on plastic and metal recycling plant. Firstly, aluminum-plastic composite materials need to be crushed into mixed granules smaller than 10mm. 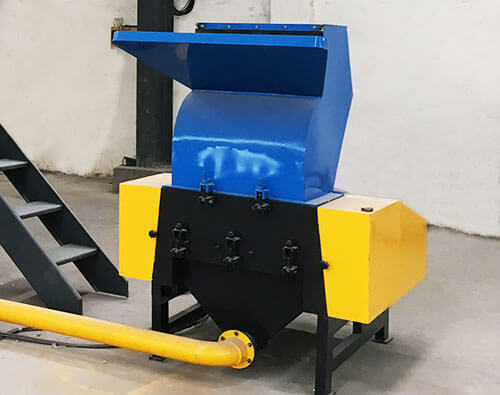 The Plastic Crusher is a machine used to shred or crush materials into smaller pieces, crushing being an essential stage in the recovery of aluminum and plastic scrap. 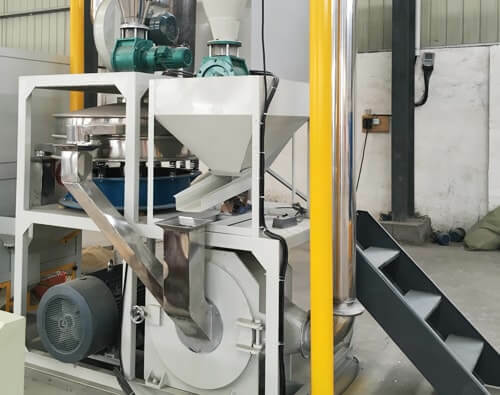 Crushing alone will not generally provide ample size reduction, so to further process/recycle the wastes it is necessary to mill them into plastic and aluminium mixture powder. 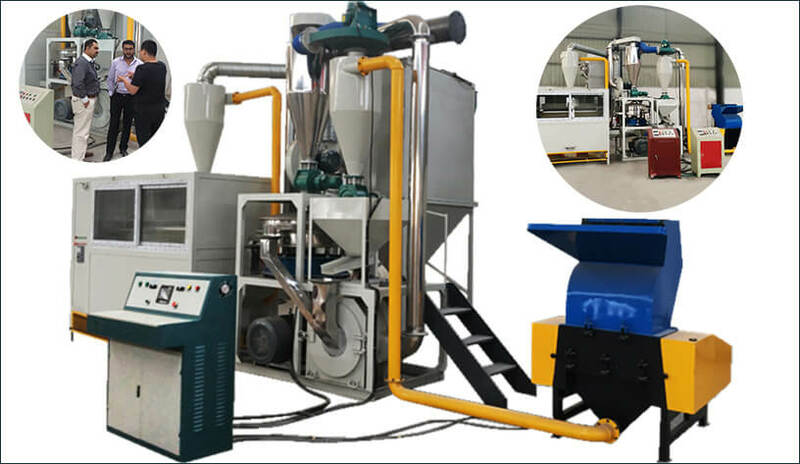 Aluminium, Plastic & Non-Ferrous Powder Mill will effectively provide the necessary size reduction. The crushing mill has a dedicated dust extraction system, fitted with a separation cyclone for dust controlling. 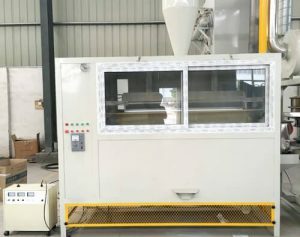 After milling, materials will be sent to Vibrating Screen for further sieving: standard materials for electrostatic separation, sub-standard ones will be re-crushed. Electrostatic separation methods have been utilized for the past 50 years on the commercial-scale beneficiation of industrial minerals and recycling of waste materials. It has been successfully applied to separate metal/non-metal mixtures, i.e. aluminium or copper from plastics or paper. All electrostatic separation systems contain a system to electrically charge the particles, an externally generated electric field for the separation to occur in, and a method of conveying particles into and out the separation device. High tension roll electrostatic separation systems have been used in many industries and applications where one component is more electrically conductive than the others. Examples of applications for high tension roll separators include titanium bearing minerals separation, as well as recycling applications, for example sorting metal from plastic. 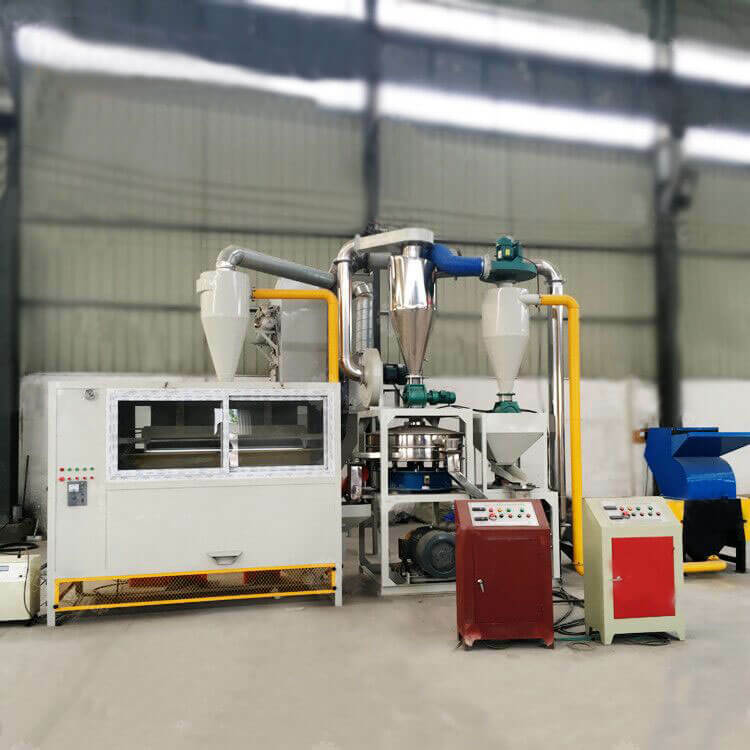 ★ Environmental benefits: No pollution, with strict process on pulverizing and separation, the dust can be collected effectively. All kinds of aluminum plastic board, waste plastic aluminum, toothpaste tubes, medicine blister packs, medicine capsules plate, pharmaceutical blister foil, aluminum and plastic boards, various aluminum panels, waste aluminum plastic food bags, milk bags, yogurt foil sealing lids, bottle neck foil lids, aseptic foil lids waste, electrical circuit board, aluminium laminate, aluminum composite panel, aluminum composite pipe, aluminum plastic board, leftover and pieces of aluminum plastic board etc.